Though summer has officially started on Central Wharf, there are still plenty of spring-like behaviors going on around the Aquarium. While we recently had a pretty impressive egg display from our goosefish, just two tanks down to her right is another interesting egg event! Octavia, our current giant Pacific octopus, has laid eggs! Octavia looking lovely in her exhibit. Octopus are pretty fascinating animals. They are extremely intelligent and incredibly elusive. They are also somewhat prolific. Octopuses spend the majority of their life alone, but there is one time when two octopus will come together. 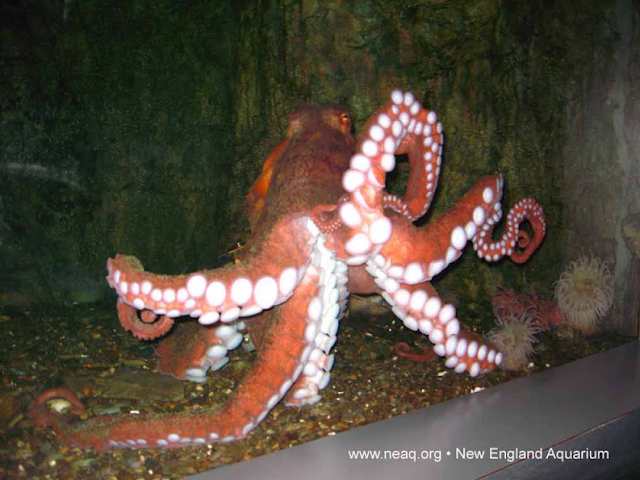 Octopus mating is a pretty big deal – since it only happens once in their short, 3-to-5-year lifespan! 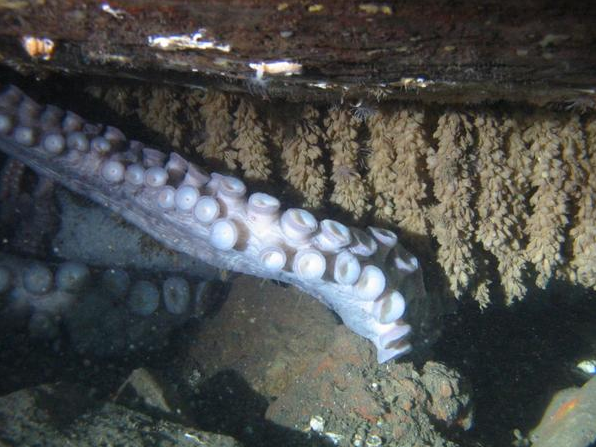 The average giant Pacific octopus female can lay up to 100,000 eggs in long sticky strings attached to hard substrates, with some estimates claiming only a 1 percent survival rate in the wild. It’s difficult to tell how many survive, however, because octopus populations are not well studied or documented in the wild since they are cryptic and hard to locate. A few octopus eggs are on the glass of the Aquarium's exhibit, the rest are attached to the rock surface near the window. Each egg is about the size of a grain of rice. Since we only have the one octopus, our eggs are not fertile – but they are plentiful! 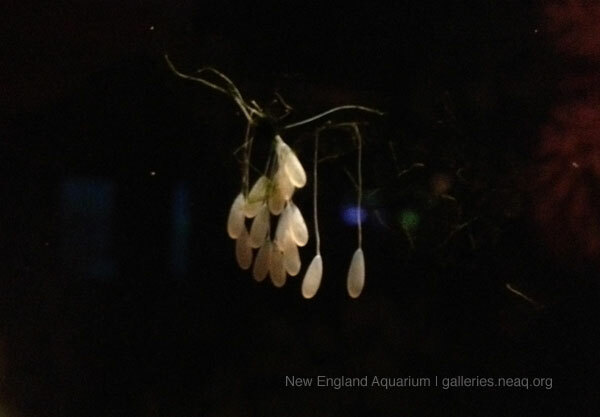 In our exhibit, there are some eggs attached to the glass and the rock-surface near the window. However, the majority of her eggs are located in the upper left corner on the wall behind Octavia’s usual hiding spot. So, next time you’re in the Northern Waters Gallery see how many of these eggs you can spot!